The true value of any CRM is the quality of its data. Entrepreneurs need quick and reliable access to an activity history for each and every contact, and what's more it needs to be as complete as possible. 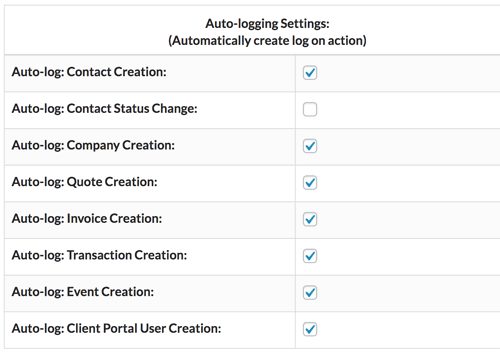 Auto-logging helps by keeping track of key events. Entrepreneurs have to walk a fine line between being efficient with their time, and being decent to customers. Zero BS helps by automatically logging key events, and then displaying them in a meaningful activity history. 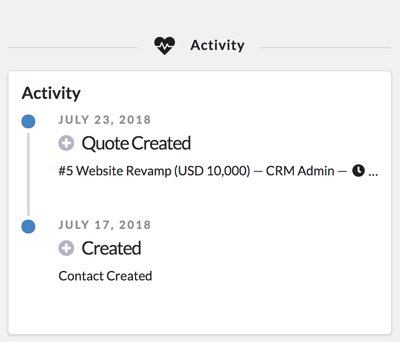 Automatically log a number of different events with Zero BS CRM. So you sent the client a proposal two weeks ago, they accepted, but haven't paid the deposit yet? Easy to see in our Activity History. This saves you having to dig through the records to work out when each event happened in relation to this contact or company. For further automation, we also have our Automations Extension. Auto-logging is just the beginning! If you want to create your own Automation recipes, automate jobs or emails or other actions then you need our Automation Extension. It's a giant machine that does what you ask. Get a bundle to get Automations Today.